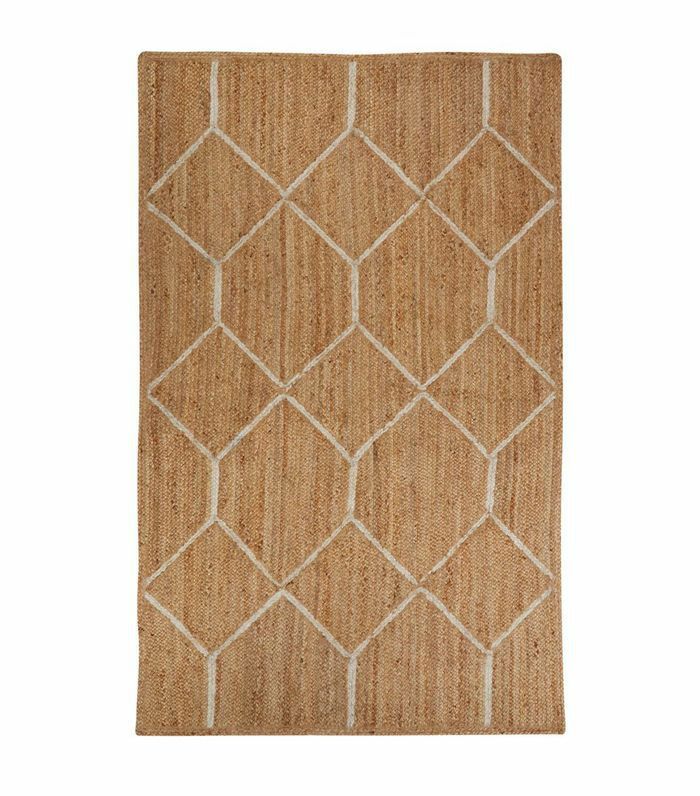 -Small spaces like entryways and bathrooms typically do best with doormats or small rugs sized from 2'x3' to 4'x6'. -Kitchens and hallways are best when outfitted with runners of varying lengths. -In the bedroom, always aim to leave 3 feet on each side of the bed to walk around. You can choose to flank the bed with two smaller runners or 3'x5' rugs. A 5'x8' will typically look better when placed to surround the foot of the bed, while a larger rug was made to lie underneath the entire bed. When possible, leave 2 to 3 feet of rug at the foot of the bed for maximum comfort. -In the living room, a rug should be large enough to fit all the furniture on top without feeling cramped if it's an open-plan space, or at least the two front legs of each piece if the space is smaller and the furniture is pushed against the wall. Try to not go under a 6'x9', to avoid the post-stamp syndrome. If you have the space, an 8'x10' or 9'x12' is ideal. -A good rule of thumb in the dining room is to leave 2 to 3 feet around each side of the table to leave enough space for people to pull out of their chair comfortably without the chair ever pulling off the rug. -When in doubt, go for the biggest size your room will fit while leaving a minimum of 6 inches on each side between the ends of the rug and the walls. 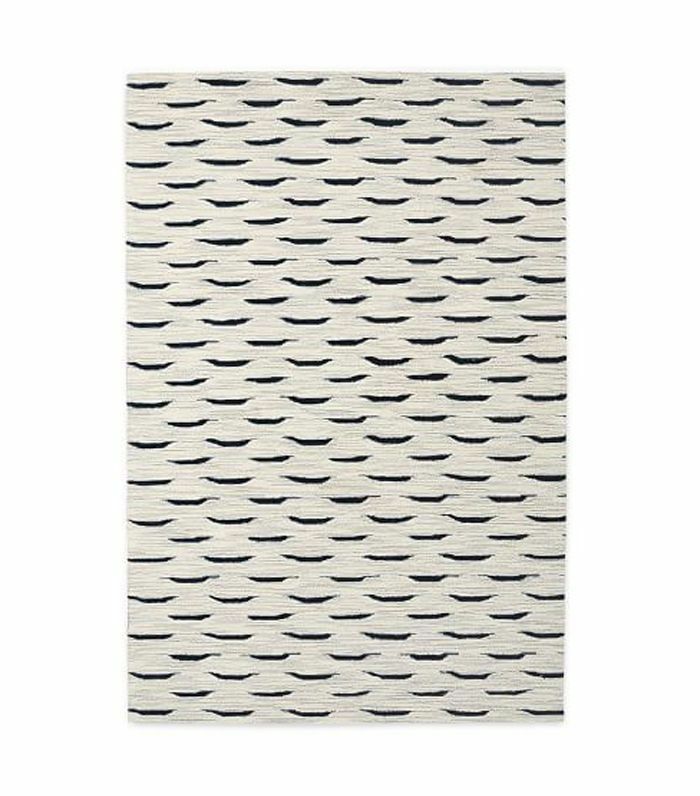 Now that you know your ideal rug size, we rounded up our favorite picks, from 2'x3' all the way to 9'x12'. 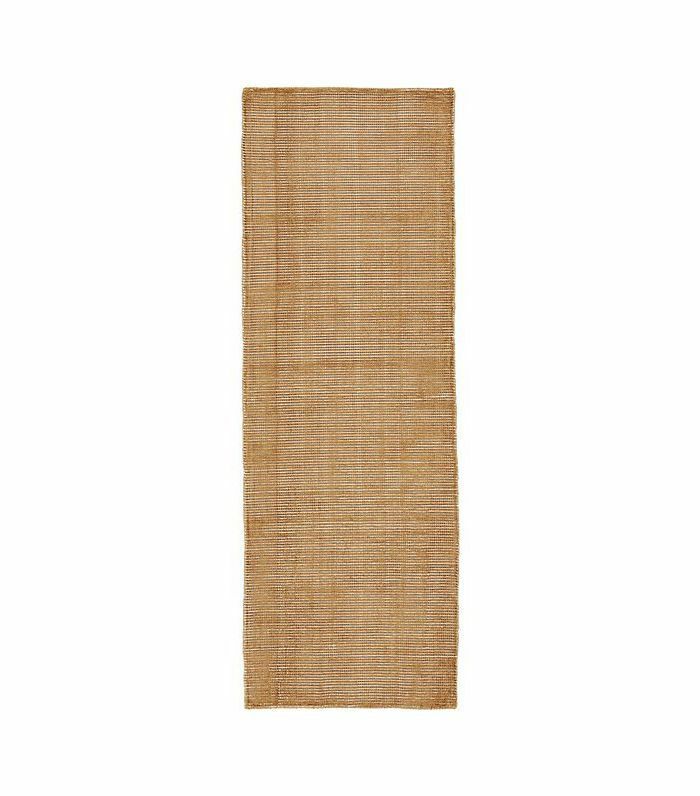 Keep in mind that most rugs come in varying sizes, so if you see one you like, it just might be available in the size you need. 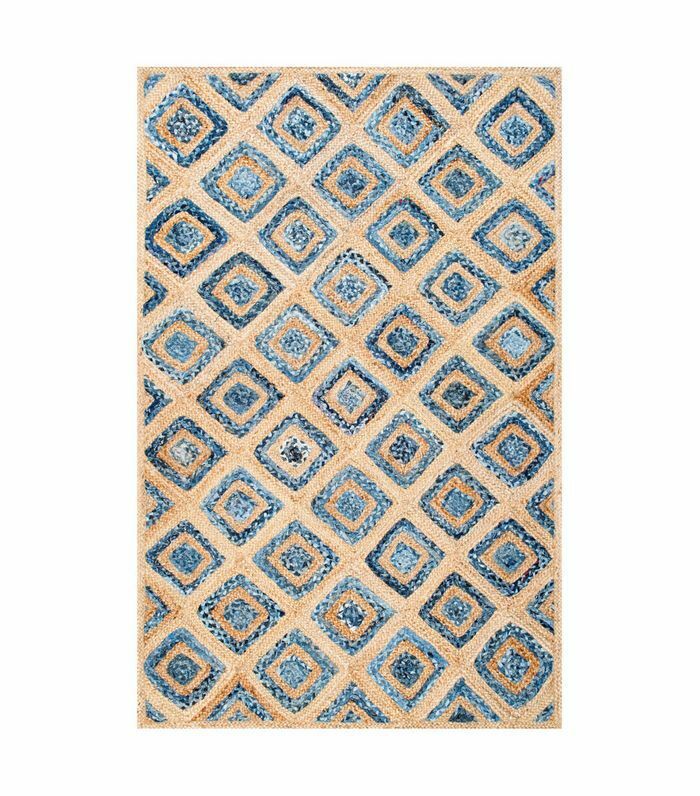 From small area rugs to extra large carpets, these showstopping pieces will anchor your whole room. 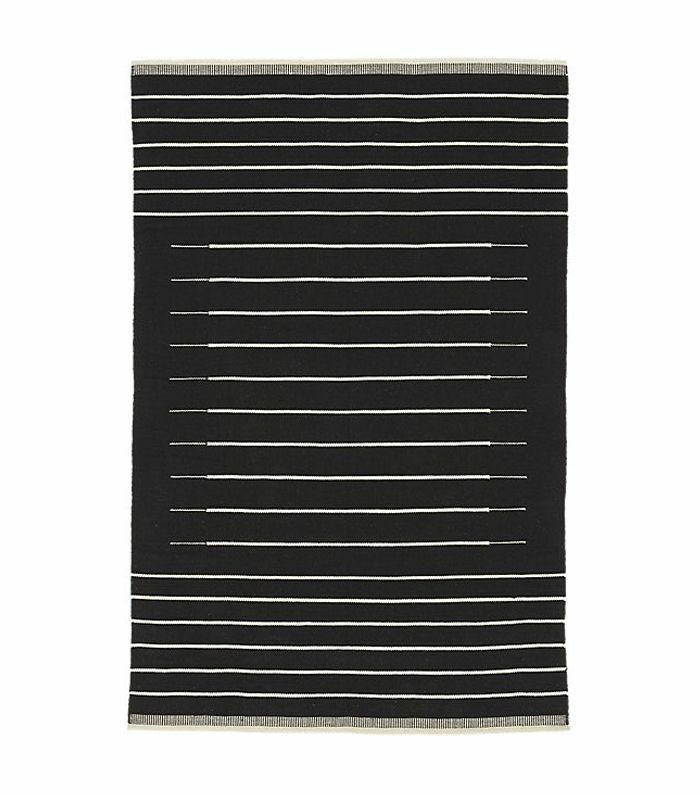 Starting at 2'x3' and going all the way up to 8'x10', this CB2 striped rug is versatile. Its sturdiness and graphic print make it ideal for small spaces with high traffic. 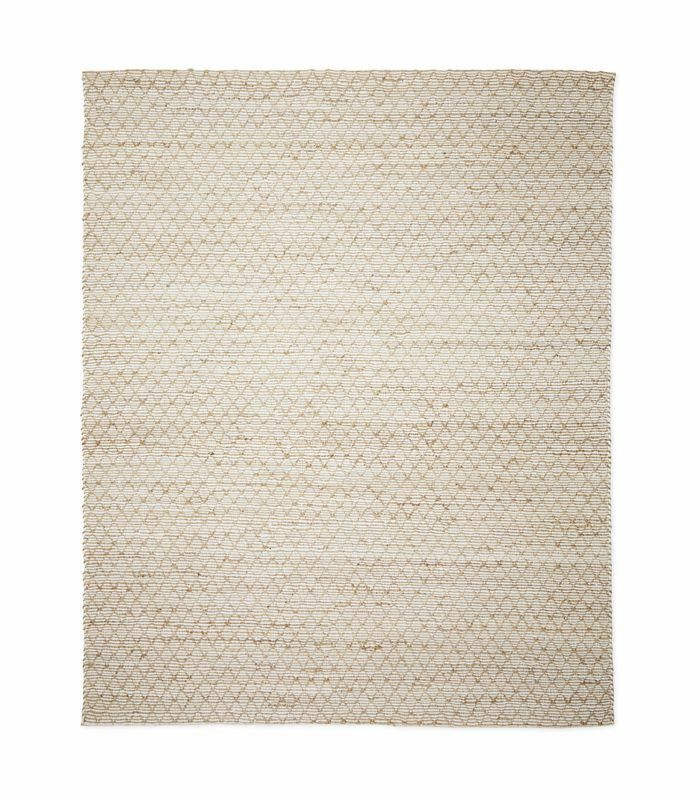 Another popular option for 2'x3' rugs is a neutral jute—great for high-traffic entryways. 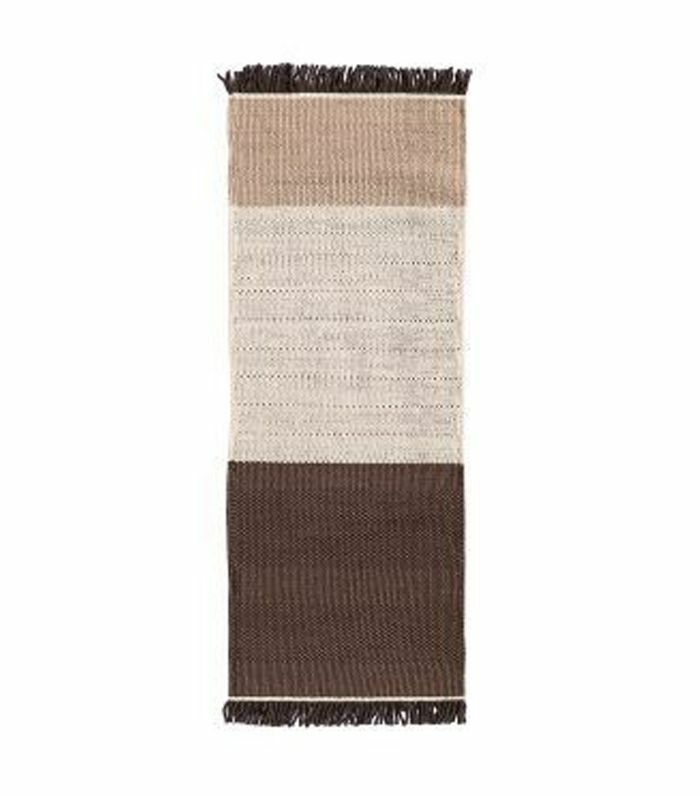 That said, you can find this rug in sizes as big as 9'x12'. 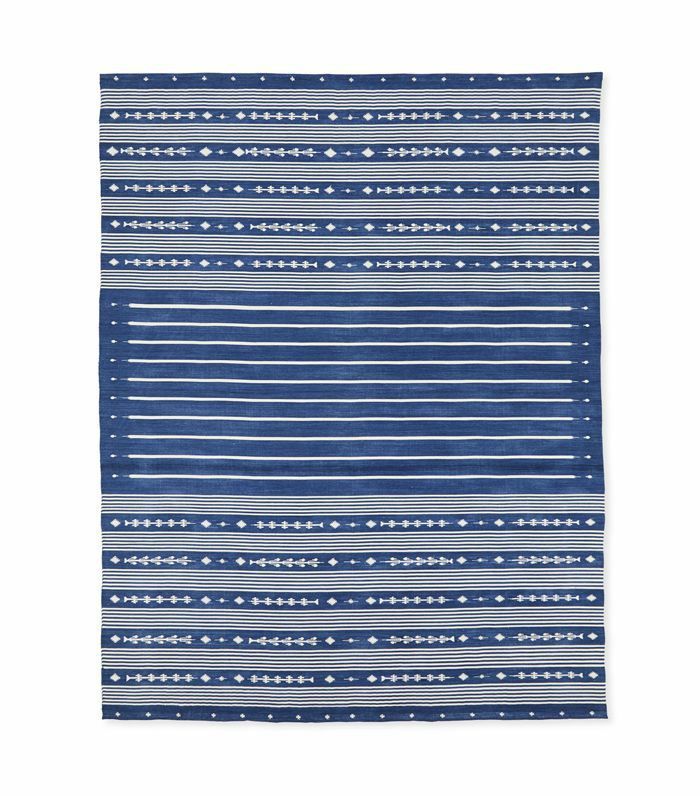 This incredibly versatile rug is available in 11 different sizes and three colors, but we particularly like it as an affordable solution to large spaces or as a small runner flanking each side of your bed. Want to make a statement in a small space? 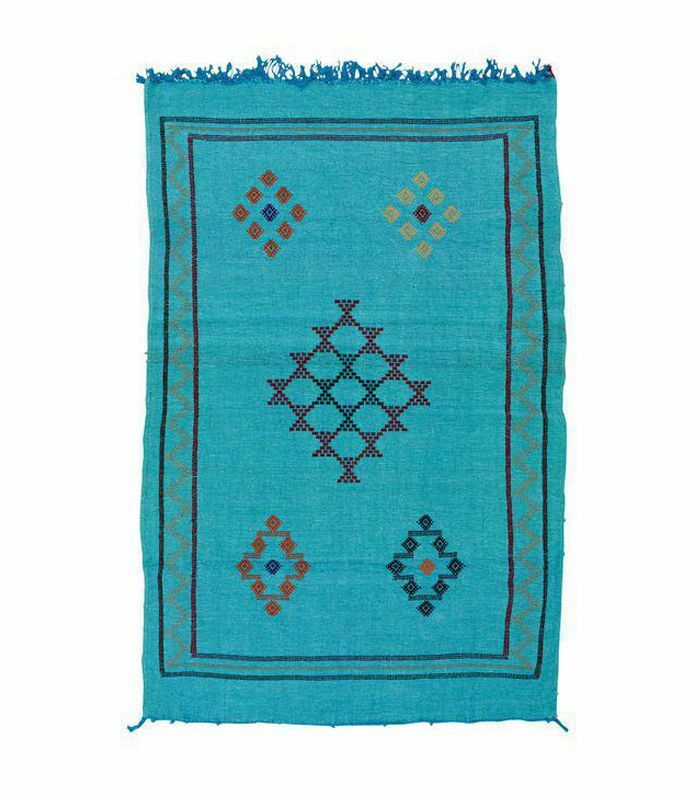 Try a Moroccan silk rug—often available in varying bold colors. 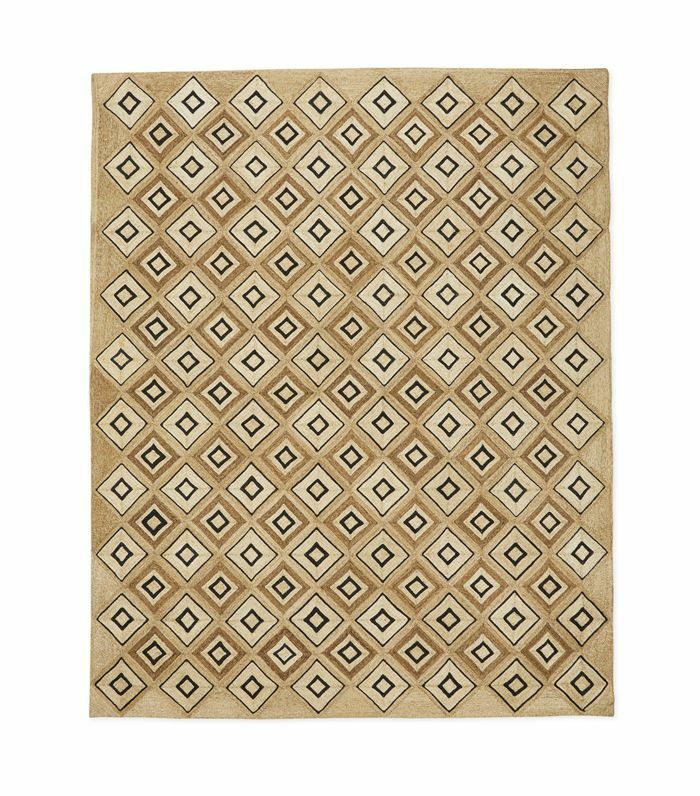 This bouclé jute rug is extra durable and perfect for entrance halls or kitchens. Dhurries are extra thin, making them ideal for highly trafficked areas like entryways—but they also look fantastic as an extra-large option. We love to use 5'x8' rugs as a budget alternative for bedrooms. This black number can create a big impact even without the large size. 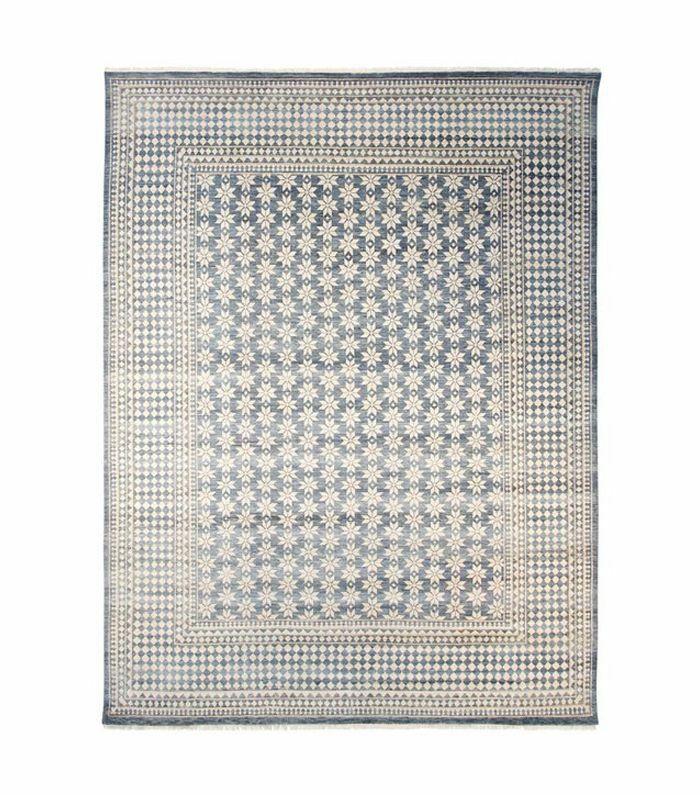 A neutral rug with a soft pattern is ideal for a light bedroom—the cotton blend makes it softer underfoot. 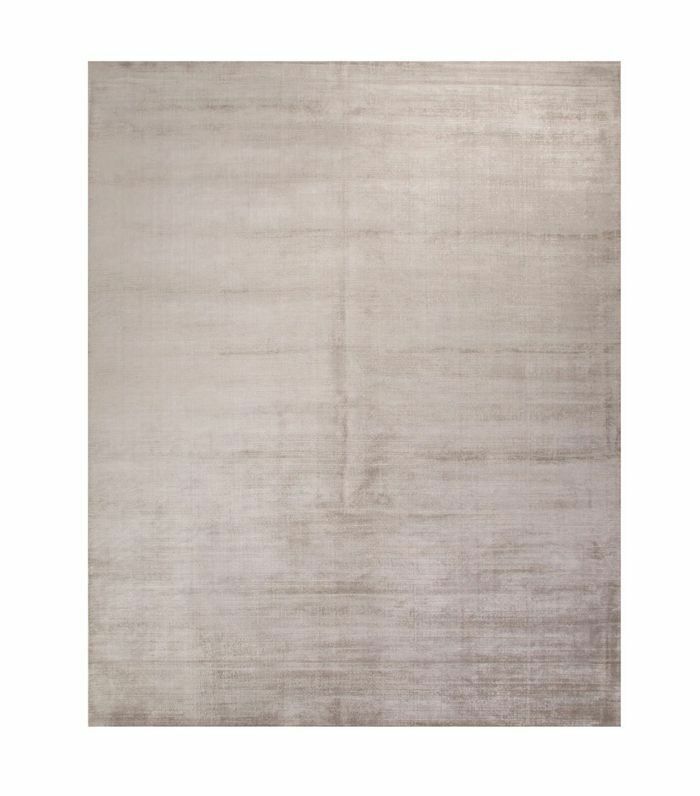 We love this rug in all sizes, but the 6'x9' option is especially discounted right now. 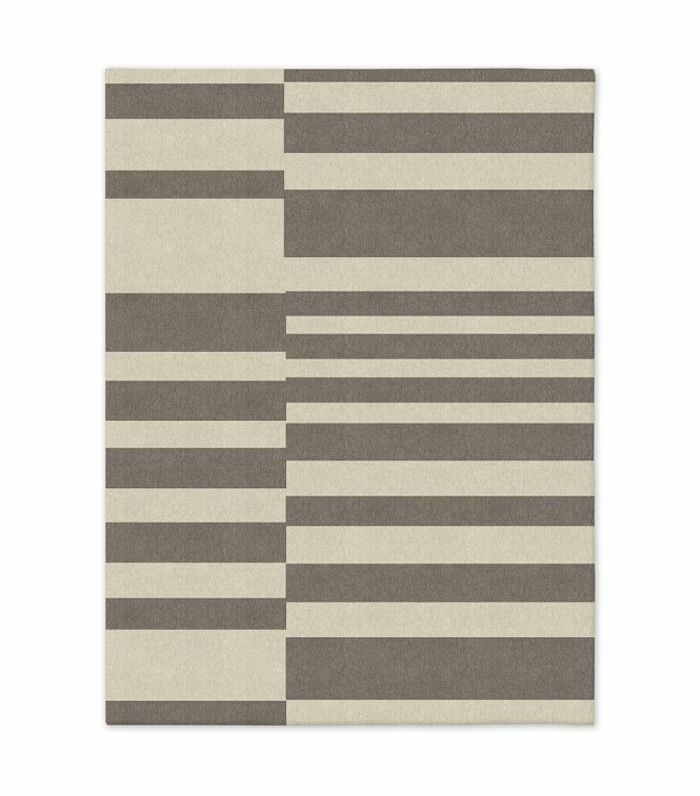 Ideal for a small living room, this rug creates subtle pattern without being overpowering. Large spaces lend themselves well to bolder colors and patterns—like a modern take on a traditional striped dhurrie. 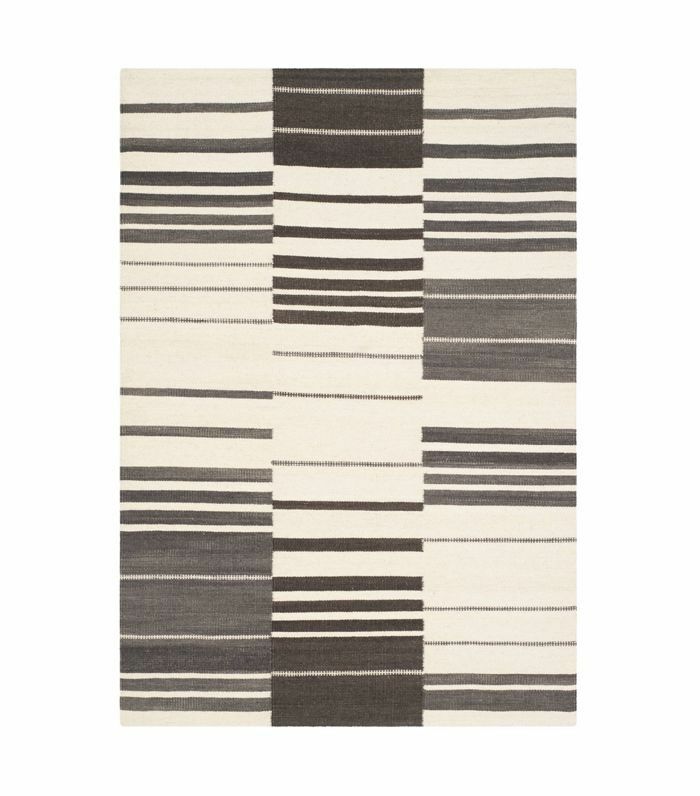 We love this graphic braided rug to create a striking statement in a larger space. 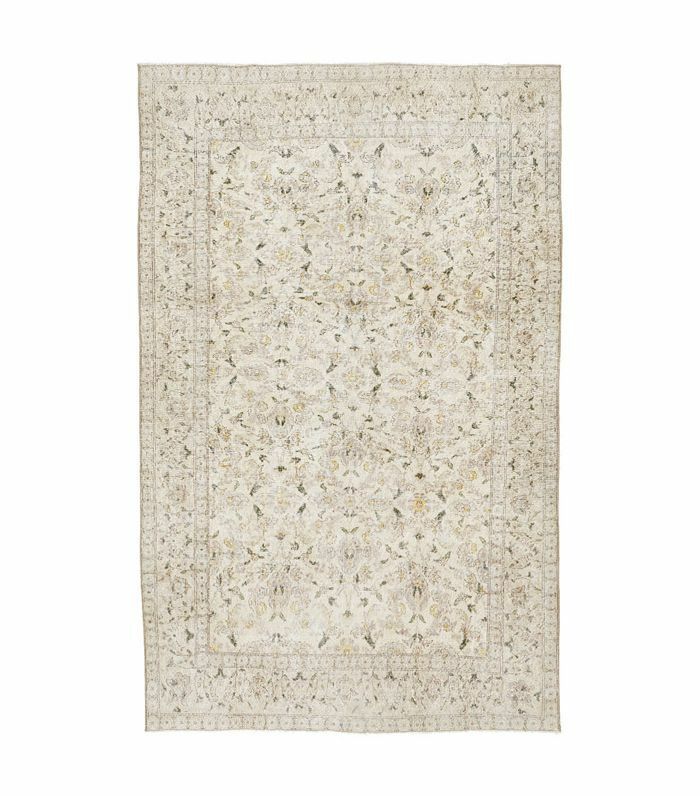 To create a luxe, minimal statement in a larger space, try a shimmery, neutral silk rug. Patterned rugs lend themselves particularly well to dining rooms where small stains can easily be concealed. Distressed runners are great for high-traffic areas like hallways—and they're even better on the wallet. 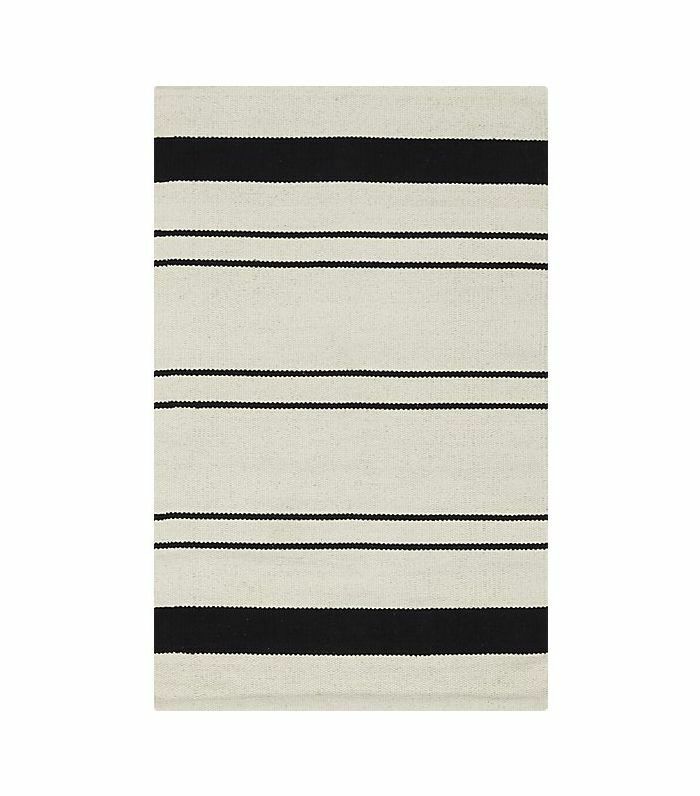 To create more of a statement in a hallway, try this dhurrie runner in ombré stripes. 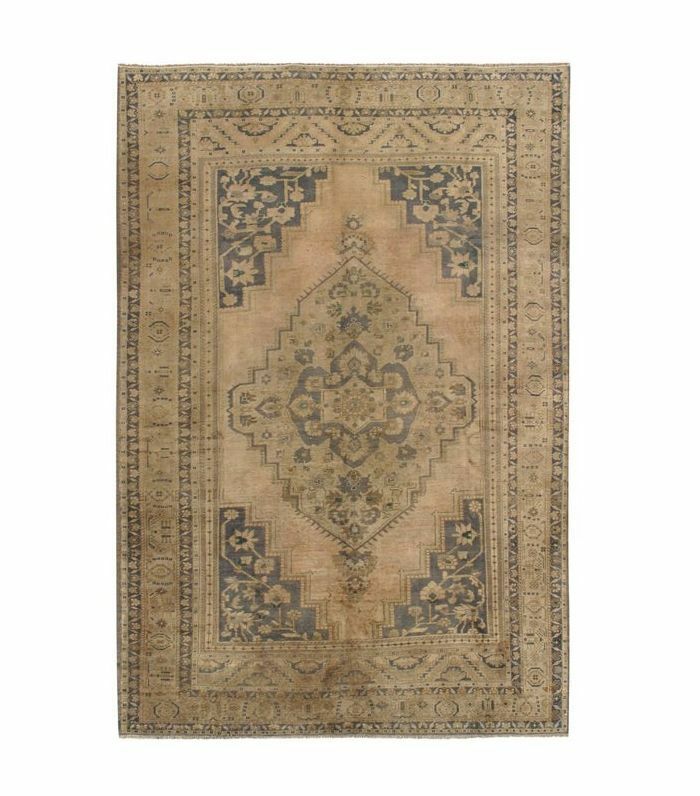 Vintage rugs often have irregular sizes, which can come in handy in unusual spaces, like when you need an extra-narrow, extra-long option. 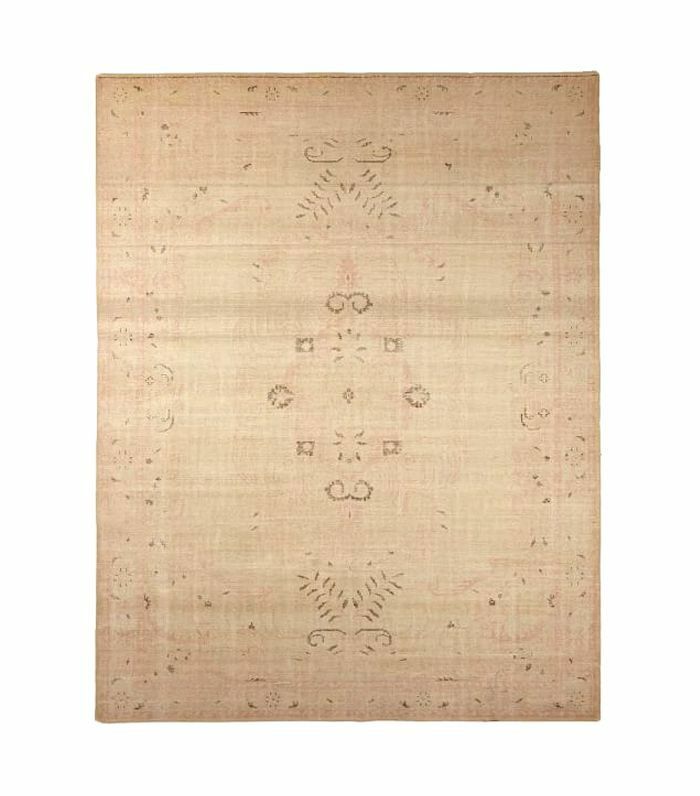 When you love a vintage rug that doesn't exactly fit your space, try layering it on top of a neutral, natural woven rug.